For visitors who prefer outdoor activities, Vietnam is a perfect place for you to explore captivating mountain paths, national parks by many adventure activities such as hiking, trekking, climbing, biking… You can discover one of the world’s most picturesque landscapes through few places such as the outpost of Sapa in the far north or the former colonial hill station of Dalat in the central highland. Taking part in an adventure tour will give you an opportunity to communicate with the locals to understand more about the culture and visit some of the must-see attractions throughout the country. Here are a selection of adventures that will make your Vietnam travel be life-time experience. #1 Vietnam travel tip: Remember to check your Vietnam visa requirements here at least 3 working days before your departure for Vietnam. 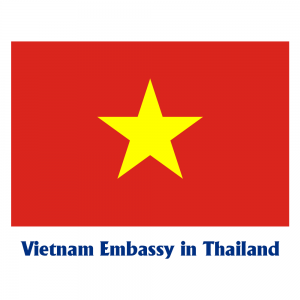 In case you need a visa to Vietnam, an early application may save you a lot of cash. Living in a homestay will give you a chance to explore the local culture in short time. If you stay in the hotel, there is no different from other places in Vietnam. You will see how different Vietnam can be when staying with homestay in a remote village. By staying with the local, you will contribute to the development of the communities here as well as help to increase their return. You could even try to do something in the rice fields to understand about their work while staying with a homestay in Sapa. In addition, Fansipan which is the highest mountain in Vietnam is one of the challenge you may want to experience. Belongs to Hoang Lien Son Mountain range and under protection of the Hoang Lien National Park, Fansipan Mount is also known as “the Roof of Indochina”, is the symbol of personal struggle to achieve. The height of 3.143 meters is a big challenge to not only many Vietnamese generations but also travelers all round the world. Trekking to the top of Fansipan Mount is the best way to get through it. The spectacular view and breath-taking beauty of nature is still waiting for new challengers. As a UNESCO World Heritage site, Ha Long Bay is probably one of the most famous attraction sites in Vietnam. It will take about 4 hours to go from Hanoi to Ha Long Bay by car. After that, you can be able to rent a boat to go along limestone to enjoy your trip in the closet way to the nature. Basically, you will have a night on a boat to enjoy the quite atmosphere and the smell of the ocean. In the morning, you can visit people in floating villages that spent their whole life on the water. In the afternoon, you can lie down and watch the sunset, which may be one of the most beautiful moment you will remember in this trip. If there is a group of people on your boat, you will have more fun activities together. It is also a good place to do kayaking combined with exploring the lime as well as discover all the hidden caves in the area such as Surprise Cave or Heaven Cave. The sleeper bus is good idea for anyone want to save money or want to experience the new way of transportation. You can choose between chairs or loungers. Nowsaday, the bus even has a wifi system for clients. A tip for you is not choosing the seat in the front because it can be noisy and you can not sleep. However, if you can not go to sleep, you can spend time to chat with people around you. Locals and other travelers from all over the world can be very open on these buses, so it will make the journey go quicker with all their stories and adventures. Miles and miles sand dunes in Mui ne is the idea place which allows visitors to do an awesome activity – sand-boarding. Firstly, with a quad bike, you can across the dunes to a good spot to do sand-boarding, hop on your board and go down. You will have to go through a few trys to get it going, but once you find your way and the spirit of the game, it will be so much fun. In case watching someone else, you will think that it is not going that fast, but when you actually get yourself going, it felt like you flew down. And when you get too tired after doing sand-boarding, you can go back to see and enjoy other things Mui Ne offers such as Red Canyons and Fairy Springs, a lovely fishing village in Mui Ne Bay. In order to finish the day, you can stop and watch the sunset over the sand dunes. Motorbike is considered as the main vehicle in Vietnam. It is not surprising if you feel overwhelmed when seeing the traffic in Vietnam with long row of motorcycles in succession in the streets. Motorcycle is the perfect way to go around Vietnam and there are a huge number places where you can easily hire a bike or you can hire a guide and join a group motorbike tour. Traveling by motorbike will give you a total different experience from other kinds of normal travel. This type of travel will give you freedom and adventure to discover Vietnam in your own way with your senses. If you have opportunity to Vietnam, remember to try those 5 experiences. We ensure you will have a completely different feeling for your Vietnam travel.